After much anticipation we now have the 2017-18 BMT Thru-Hikers Guide© in stock. Order your copy now. 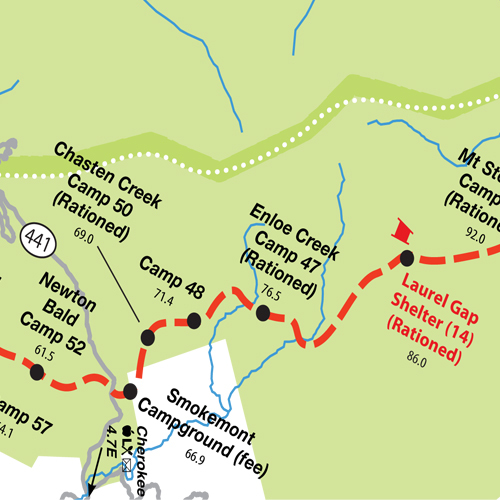 This year there are major changes happening to the Benton MacKaye Trail with a major re-route happening between Slickrock Creek and the start of the Great Smoky Mountain National Park. 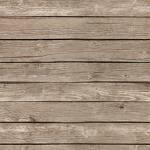 Orders of 5 or more, please e-mail and we will send you an invoice. Orders through my website will be a signed copy. E-mail me if you want a special message on your guide. New from Anti-Gravity Gear! A collaboration between us and Mapdanna LLC - the BMT Pocket Profiles. A waterproof, nearly tear proof pocket reference you can stick in your pocket and have handy for those quick mileage checks. I have to say up front: on the BMT these should not replace real maps! There are places on the BMT where you need to know the relationship of it to the other trails, not knowing this information can mean hours down the wrong trail! But these 4 gram wonders allow you to keep your guidebook safe in your pack inside a waterproof bag for the more careful study while you have a handy quick reference resource that you can shove in almost any pocket in almost any weather without worries of screwing it up. ◊ Includes most of the data-points from the BMT Thru-Hikers Guide for the entire trail from Springer Mountain in Georgia to Big Creek in the GSMNP. ◊ Printed on durable waterproof plastic. 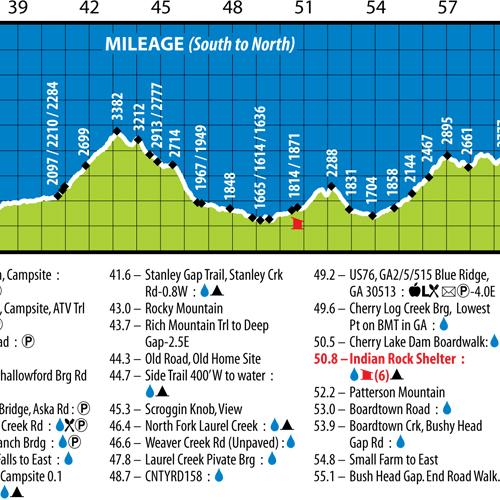 ◊ Elevation profile and trail data (side 1) and overview trail map (side2). ◊ Includes three separate pocket profiles covering the entire BMT. ◊ Dimensions: 3.9" wide x 17" long. ◊ Weight: 4 grams each. 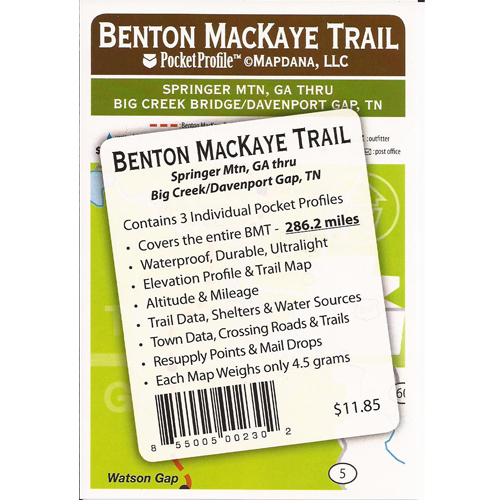 Benton MacKaye Trail Guide © 2009-2018 Ernest Engman. All Rights Reserved.